Hot damn. This is my fave AC fanart of Tifa, all time. I love it. I love the way you drew the top as if it's about to burst, akin to the in game outfit. 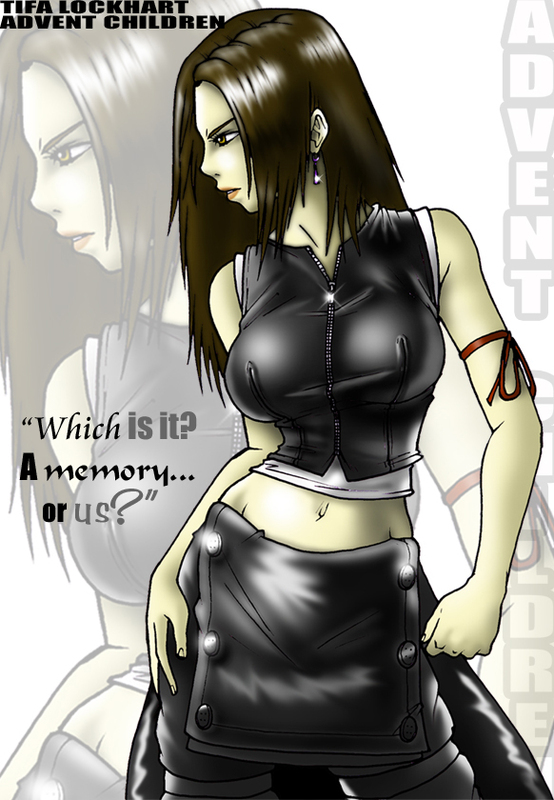 You are probably the best at Tifa fanart. You make her look so beautiful yet bad @$$ at the same time. (she is stunning anyway) but you really have a talent for drawing her. Read what you put in your profile and quite frankly i love how you exagurate the proportions!! !